This was captured by Michael R. Anderson on the Columbia River Gorge in Oregon. Mr. Anderson spent hours artistically transforming the afternoon into a sunset scene. In 2013, it was selected for the PPA Loan Collection by the Professional Photographers of America (PPA) and featured in Professional Photography Magazine. It also received an Award of Merit from the PSA Columbia Council of Camera Clubs (4Cs). 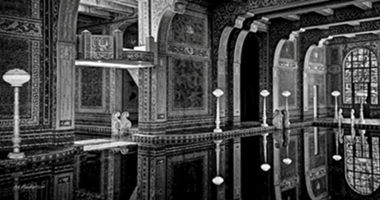 This image was created from 5 shots at the Hearst Castle Roman Pool in 2012 by Michael R. Anderson. Multiple shots were needed to capture the detail in the light and dark areas. 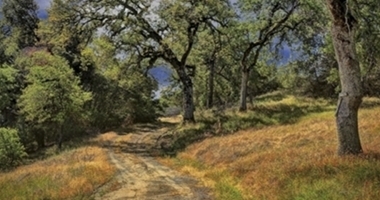 The color version was featured in The Photographic Society of America Journal and this version was selected for the PPA Loan Collection by the Professional Photographers of America (PPA) in 2016. It also received an Award of Merit from the PSA Columbia Council of Camera Clubs (4Cs). The beautiful wood sculpture is the work of world renowned sculptor Larry Kirkland who created this in the late 1980's and it toured as a Smithsonian Exhibit before finding its way to the attic of an old barn. This ehnahced image was capture by Michael R. Anderson and the image received the highest professional award by the Professional Photographers of America in 2012 when it was selected for the prestigious PPA Loan Collection. 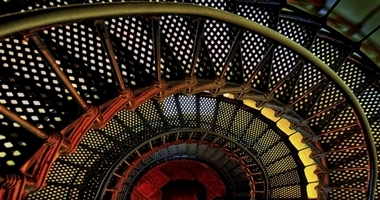 This was crafted by Michael R. Anderson from 3 photographs taken in the Yaquina Head Lighthouse at Newport, Oregon in 2012. It received an Award of Merit from the Portland Metropolitan Photograhers Association (PMPA) and was selected by the Professional Photographers of America (PPA) for the prestigious PPA 2012 Loan Collection. It was also listed as one of the top 12 architectural photographs worldwide by Marathon Press. This was created by Michael R. Anderson in 2011 and it involved the merger of 5 shots taken at Bryce Canyon National Park. 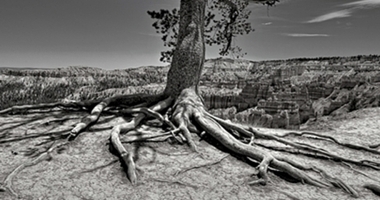 The black and white tones were carefully balanced in the style of Ansel Adams. It has received Awards of Merit from the Portland Metropolitan Photographers Association (PMPA), and the Columbia Council of Camera Clubs (4Cs). In 2012 it was also selected for the PPA General Collection by the Professional Photographers of America (PPA). This photograph was taken and digitally enhanced by Michael R. Anderson. 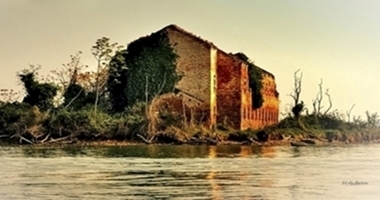 The image was captured in Italy from a boat while traveling from Venice to the Island of Burano in 2007. It was crafted as an artistic representation of an abandon glass factory. This image received an Award of Merit in 2012 from the Portland Metropolitan Photographers Association (PMPA) and another from the Columbia Council of Camera Clubs in 2013. This infrared photograph was captured with 3 shots and digitally enhanced by Michael R. Anderson. 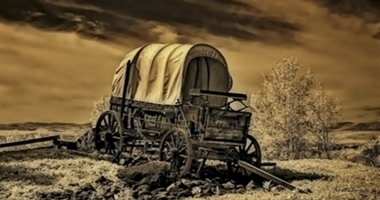 It is a replica of a prairie schooner wagon on the Oregon Trail at Farewell Bend where the Oregon Trail crosses the Snake River. It has received Awards of Merit from the Portland Metropolitan Photograhpers Assn (PMPA), the Columbia Council of Camera Clubs (4Cs) and it was accepted for the German International Photocup in 2014. 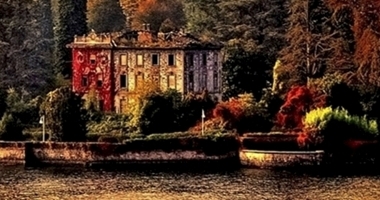 This image was captured in 2007 by Mr. Anderson from a boat on Lake Como in the Italian Alps. The abandon villa immediately caught his attention and he thought it had good digital art potential. He did his best to craft it like a painting. Mr. Anderson was correct about its potential because it has proven to be popular in art shows and it also received an Award of Merit from the Columbia Council of Camera Clubs (4Cs). Mr. Anderson spotted this scene on the side of the highway while driving through California Wine Country. He knew it had artistic potential when he stopped to shoot it. The original scene had a clear sky so Mr. Anderson replaced it with another of his images of a sky with beautiful clouds. He tried to make it look like an oil painting and it received an Award of Merit from the Columbia Council of Camera Clubs (4Cs). This image was created by Michael Anderson as a project for the local Chapter of the Daughters of the American Revolution. It depicts the Vietnam War Memorial in Canby, Oregon and was donated to the DAR for the cover of a book that was published in 2017. 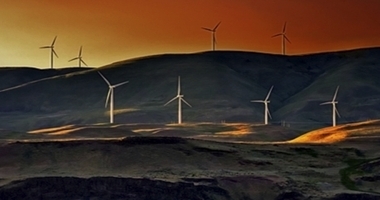 This image was captured in Eastern Oregon by Michael Anderson near the Idaho border in 2017. It is an artistically edited photograph of the abandon cement factory in Lime, Oregon. The sun was setting and the light looked perfect for a photograph. This image was captured on a winter photo trip to Yellowstone in February 2017. We chartered a snow coach and a guide for two days and made the trip with fellow photographers, Rich Battson and Su Zhou and our grandsons, Brock and River. We will be going back in 2018 to get more pictures of the scenery and animals. Michael Anderson recently became the Director of Mentor Services at the Photographic Society of America (PSA) and he looks forward to managing that international educational program. Lori Anderson recently became the 4Cs Club Representative for the Cascade Stereoscopic Club and she is already thinking of ways to give her club more exposure in the 4Cs and PSA. Lori and Michael are both looking forward to their annual trip to Yellowstone this winter and Michael is looking forward to working in his new role as the Director of Mentor Services in the Photographic Society of America (PSA). Mr. Anderson is the Quarterly Electronic Image Division (QEID) Chairman for the Columbia Council of Camera Clubs (4Cs) which includes member clubs from Oregon, Washington, California and Idaho. In that role he recently created a new automated on-line competition entry system. Michael was also honored when he received the Maxine Van Hoy Service Award at the 4Cs annual conference. This is their highest award and very much appreciated. We rarely shoot photos on site for clients but we make exceptions when photos are needed of iconic or historic scenes for publication in history books and publications. We were happy to help with photo restorations and in shooting some new photos for the book titled, Images of America - West Linn by Cornelia Becker Seigneur. We were also asked to take and artistically enhance a photo of the Vietnam War Memorial in Canby, Oregon for the Susannah Lee Barlow Chapter of the Daughters of the American Revolution. It was used for the cover of a history-related book which was published 2017. Become a friend on Facebook or get more information about Mr. Anderson on LinkedIn. More fine art images can be seen on his Facebook Page. The best way to get in touch with us is through email or through a Facebook message. Copyright 2018. Artistic Photo Expressions, LLC. All Rights Reserved.